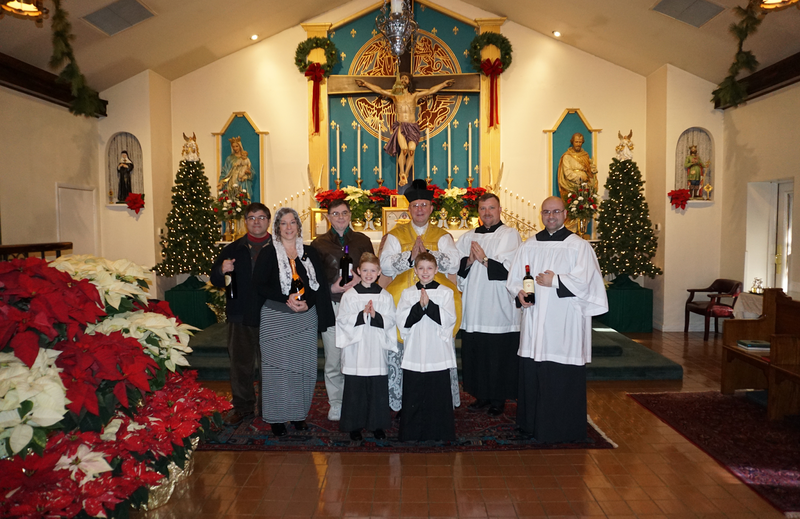 We have received a huge number of photographs of Christmas liturgies, and so we will be doing at least one other photopost, possibly two more. We will also be doing one for Epiphany, and we will be glad to see any photos of liturgies celebrated during the Octave, Te Deums on New Year’s Eve etc. Thanks to all those who have sent them in, and a blessed New Year to all our readers. What makes a piece of literature or art Christian? Some would say just the content, that is, what is said; others would say both the content and the structure, and that the way in which those truths are conveyed can communicate them more fully. In other words, it’s not just what you say that’s important, but also how you say it. If this is the case, the style of prose or poetry can be Christian (or un-Christian), as much as the meaning of the words considered apart from that style. 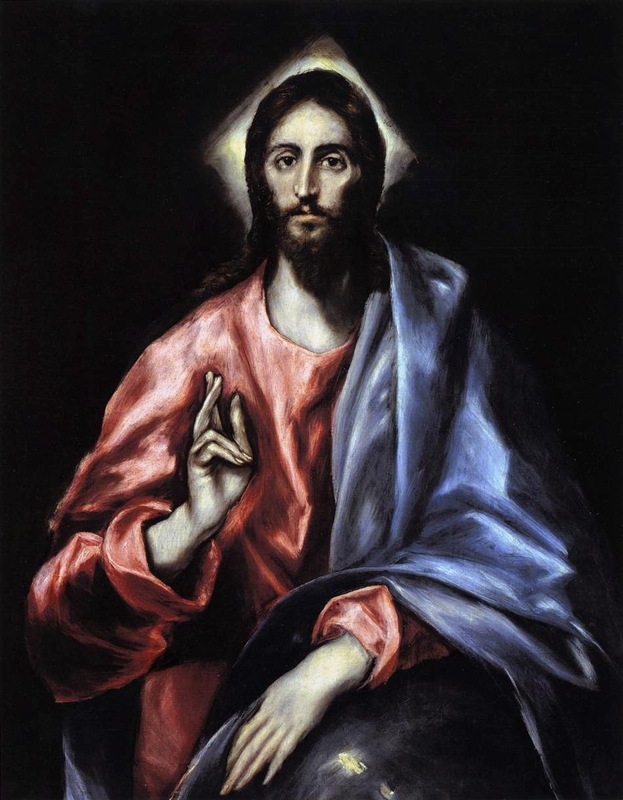 Any regular reader of this blog will know that I have long maintained that the style of art is every bit as important as the content, and that since the Enlightenment style has declined because artists have rejected the traditional Catholic forms. In this slim volume, the English Catholic poet Andrew Thornton-Norris does for poetry and prose what I have been trying to do with art. He relates the actual structure of the writing and the vocabulary used in it to the worldview of the time. He shows us, for example, how even if the poet or novelist is sincerely Catholic and trying to express truths that are consistent with the Faith, he is at a great disadvantage if he is seeking to express those truths with vocabulary and poetic form that reflect a post-Enlightenment culture. I am not an expert in literary or poetic form and, to be honest, not interested enough in either to seek to become one. So I had to take Mr Thornton-Norris’s descriptions of form at face value. However, I agree with his analysis of modernity, which he sees, right down to the present day, as ever greater degrees of the protestant heresy. Chapter by chapter, he analyses and critiques the worldview of the Enlightenment, through to the present day. The philosophies behind neo-classicism, Romanticism, Modernism and Post-Modernism are each presented as differing reactions against Christianity and ultimately, against the authority of the Catholic Church. He then connects each with the cultural forms. Because he is dealing with the English language, he first describes the rise of the language as a distinct vernacular and connects this with the Faith. He argues that the very idea of the English as a nation comes from the Church, through Pope Gregory the Great and his emissary, St Augustine of Canterbury. 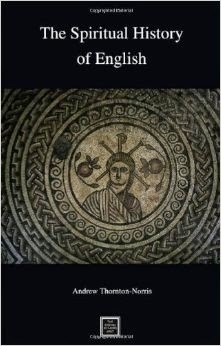 He then describes how the language and its literature developed in the light of this, through the influence of figures such as Bede, Alcuin of York and King Alfred the Great. This means that he is much more suspicious of the Romantic poets, for example, than many other Catholic commentators. I like the idea of this, firstly because it makes me feel less of a philistine for finding them all dull, but also because this parallels exactly my analysis of painting, that the Romantics and all thereafter are inferior to earlier Christian forms (along with neo-Classicism, Modernism and Post-modernism). Mr Thornton-Norris is discussing general trends, and is not inclined to dismiss all examples of English literature in these periods. Rather, he points out the great disadvantage that those poets and novelists had who were trying to express something that is consistent with the Faith. They were restricted, generally, to the vocabulary and structural forms of the language at the time in which they lived; because these were affected by one form or another of a post-Enlightenment anti-Catholic worldview, they always faced a struggle to escape their time. Furthermore, Mr Thornton-Norris clearly believes that through the prism of literature, one can identify problems with the whole culture, which are at root related to the rejection of the Faith and its forms of worship. This idea is also very similar to my own about visual art, and appeals to me on a similar level. The book is a short read, but it contains a lot of ideas that need time to be considered carefully. One of the reasons that the writer has managed to condense so much into just over 150 pages it is that he assumes that the reader is already aware of the broad trends in history in England since the time of Pope Gregory the Great, of the philosophical developments that took place in parallel with the historical events, and of what the literary forms that he describes are. As mentioned, I fell short particularly in the last of these areas. If he had written this for an intelligent but less well-informed audience, he would have had to spend a long time defining his terms and explaining their meaning. He chose not to do this and as a result this is unlikely to be accessible to a large readership. However, I think that the ideas that it contains should be considered and perhaps those whose mission it is to popularize ideas might look at it; if they believe that they have merit, they might then apply their skills to the contents of A Spiritual History of English. 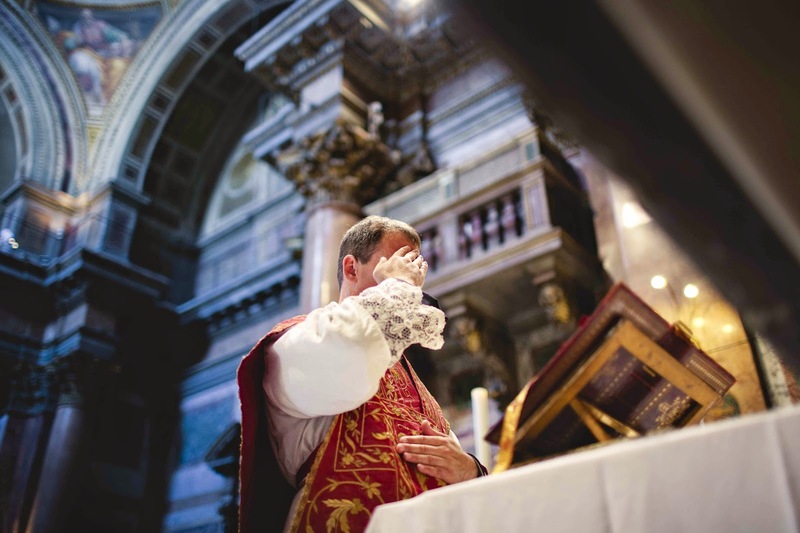 It is well known that the Novus Ordo Missae divides the Mass into four parts: the Introductory Rites; the Liturgy of the Word; the Liturgy of the Eucharist; and the Concluding Rite. It is perhaps less known among Catholics today that this is a modern schematic and that the much more ancient distinction—still found in the traditional Latin Mass—is between the Mass of the Catechumens and the Mass of the Faithful. As we bask in the effulgence of the Incarnate Word, it would be well to reflect on why this ancient way of speaking is superior to the modern way. The central and definitive “word” is Jesus Christ, the Logos or Verbum of the Father, made flesh for us men and for our salvation. It follows that the liturgy of the Word par excellence is the Holy Eucharist itself. To go further, the liturgy of the Word, in the fullest sense, must be the Eucharistic sacrifice, because in this sacrifice the Word which is “spoken” by the Father is offered back to Him, thanks to His human nature, in a perfect self-offering—and this oblation of Christ on the cross is the sole reason we ourselves can receive, can be made “hearers of,” the word of God in nature and in divine revelation. If, instead, one appropriates “word” to the Bible, then this portion of public worship, in terms of the phenomenology of the Mass, risks becoming an equal to the Eucharist, if not its superior. The verbum Domini or Word of the Lord is the Logos, Jesus Christ Himself. Verbum caro factum est, et habitavit in nobis. It also refers to the “word” (in the idiomatic sense of that which summarizes: “in a word…”) of consecration, which is the mystery of faith, mysterium fidei. Christ, above all, is this mysterium fidei; all other sacred mysteries are such because of their being rooted in Him or flowing from Him. The Church is a mysterium because she is united to Christ, the great mystery, magnum mysterium. Through the consecration, we are taken from the promise of revelation (the Mass of Catechumens) to the Real Presence (the Mass of the Faithful)—a transition from verbum (in the ordinary sense of something spoken) to res (in the sense of the thing signified by word). The problem, then, with the phrase “Liturgy of the Word” is that the Word, as such, is fully and really present only in the Liturgy of the Eucharist, when the Word Himself is personally present in His divinity and glorified humanity. 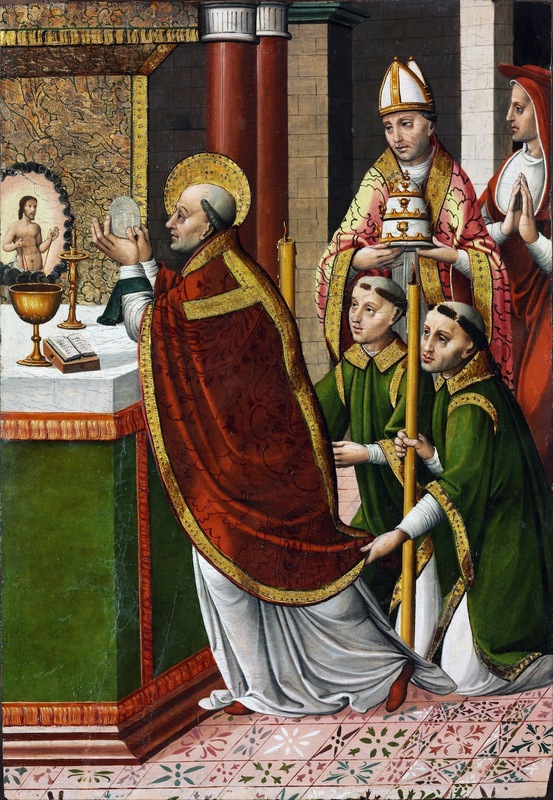 The sign of the difference is that, while we offer incense to the Gospel in honor of Him whose Gospel it is, it would be sinful for someone to bow down and adore the lectionary, placing his faith and trust in it, and loving it above all things, whereas it is precisely this adoration or latreia that must be given to most holy Eucharist; indeed, as Saint Augustine says (and Benedict XVI often quotes him to this effect), we would be guilty of sinning were we not to adore It. A Protestant confusion is thus introduced and subtly fostered. According to the Catholic faith, “God’s Word” is chiefly and primarily in the Holy Eucharist because it is Jesus Christ, and only secondarily in the Sacred Scriptures that contain His teaching and bear witness to Him. 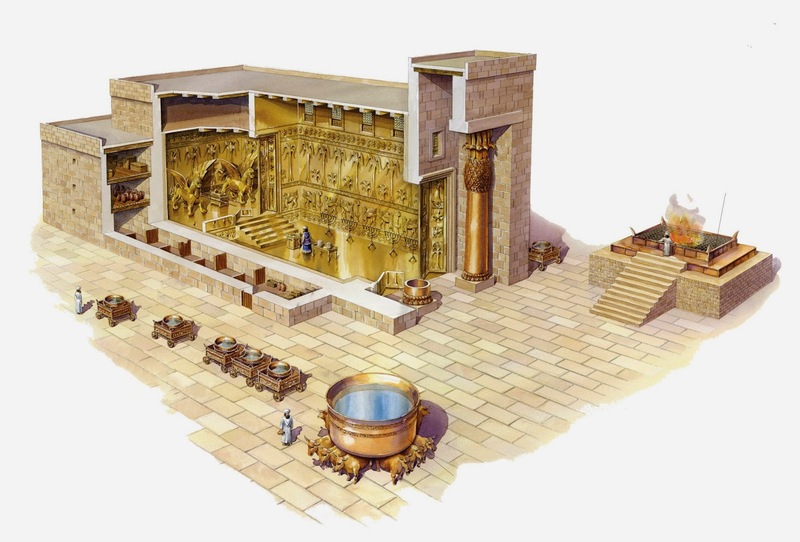 Like all mere signs, Scripture will pass away in heaven, as the Book of Revelation teaches: “I saw no temple in the city, for its temple is the Lord God the Almighty and the Lamb. And the city has no need of sun or moon to shine upon it, for the glory of God is its light, and its lamp is the Lamb” (Rev 21:22-23). Like all mere signs, it is only for the wayfarer. In Protestant churches, one often sees the Bible sitting up on the main altar, where the tabernacle ought to be, as though at the center of Christianity were a book, something written in lifeless letters on lifeless paper; such an architectural arrangement expresses the very essence of the Protestant heresy, where words replace the Word in His living and life-giving flesh and blood. The Novus Ordo structure follows, in a sense, this verbalistic architectural schema, which makes it more understandable that in Catholic churches all over the world the tabernacle was removed from the center and placed off to the side, usually not in a place of great honor. No one could have appreciated more than the Jewish Christians of the early Church how vast and profound a change was inaugurated by Christ in the New Covenant. It might seem logical, then, that they should discard the old forms of worship (the old wineskins, as it were) in favor of new ones. But nothing of the sort happened; the Christian worship grew organically out of the pre-existent Jewish worship. When the Christians began to worship exclusively in their own communities, no longer visiting the synagogue for the service of readings, they nevertheless kept and fostered the Jewish traditions in their own Eucharistic worship. The very fact that the Christians saw in the Holy Eucharist the fulfillment of what the Jews read about in their Scriptures indicates that the liturgical connection was understood to be much deeper than merely two back-to-back segments of ritual, one pertaining to “books” and the other to “sacrament” or “mysteries.” From a Patristic perspective, the division of “Mass of the Catechumens” and “Mass of the Faithful” renders the relationship far more accurately: the catechumens are those who, whether Jew or Gentile, remain on the outside of the fold but are approaching entrance to it, whereas the faithful are those who have embraced Jesus Christ as their Lord in the mysteries of initiation and can now, entering into the Holy of Holies, reap the fruits foretold in the Scriptures that are read aloud to everyone (including the catechumens). The tradition teaches us continuity, not rupture and discontinuity, even in the midst of the most radical religious shift the world has ever seen within one religious tradition: from the Mosaic law to the grace of Christ, from the Torah to the Cross, from the many sacrifices of the Old Covenant to the one all-holy and all-sufficient sacrifice of the New Covenant. It was a transition not from letter to spirit, but from a cosmic catechumenate to an eternal fidelity, from one Mass to another Mass—or rather, a seamless transition from the outer chamber of expectant preparation to the inner chamber of loving communion. How strange it is that, in so many respects, the attitude and decisions of those who replaced the organically developed Roman liturgy with a committee-generated fabrication treated the preceding form of Catholic worship as more foreign than the early Christians had treated the worship of the Israelites! Perhaps it is no more strange than the general loss of a sense of obligation or bond to God’s revelation of Himself in the past. We would rather have our own creation from our own time period than something handed down to us by our ancestors. Needless to say, this mentality is profoundly unscriptural, untraditional, unecclesiastical. One may wonder if it is not ineluctably bound up with the Hegelian (or Teilhardian) model of inexorable historical progress through the constant overcoming of the given, as we all march towards Absolute Spirit. But this way madness lies. The Incarnation is the pivotal point, not the present moment; and the Christ who is the same yesterday, today, and forever, who has been given to us in the apostolic rites of the Church, is the measure of our doctrine and practice—not our own sociological models or theoretical constructs. One revered custom of the Christmas season is the blessing of wine on the Feast of Saint John during the Christmas Octave. 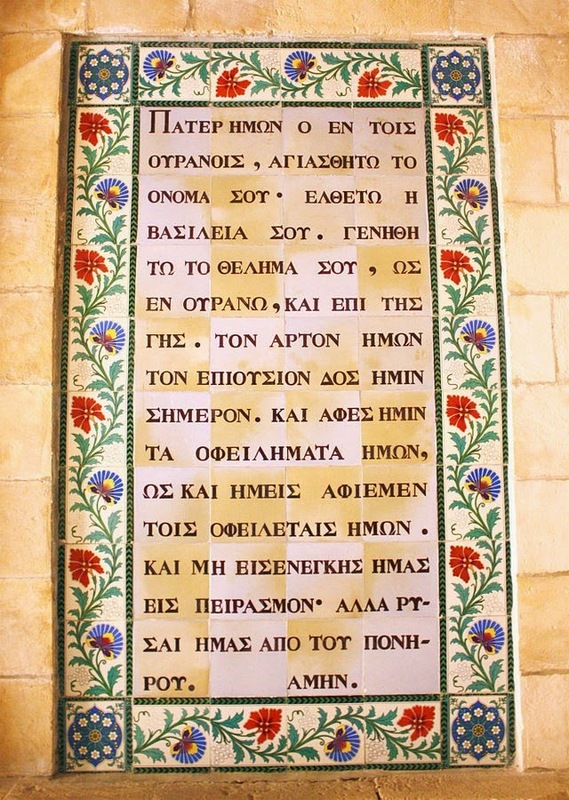 The instructions for the blessing state that after the last Gospel, the priest bless the wine in honor of Saint John, who without detriment, drank the poisoned wine proffered by his enemies. After a Missa Cantata this morning at Mater Ecclesiae, Berlin NJ, this picture was taken with some of those who had their wine blessed. May all who have had their wine blessed on this St. John’s Day have true health and enjoy this gift of God’s creation as we celebrate the recreation of the world by His Son. It should be noted that all were invited with one proviso, that the pastor receive a bottle, or at least a glass, to celebrate the joy of the season. Does anyone know if there is a Saint’s day to bless vodka? A friend of mine, a parish priest in the Archdiocese of Westminster, sent me a link to this video earlier today. It is an extract from the 1944 film Christmas Holiday starring Deanna Durbin and shows part of a Christmas Mass. It was filmed at St Vibiana’s, the former Cathedral of the Archdiocese of Los Angeles, which was damaged in the Northridge earthquake of 1994 and sold to the city. St Vibiana’s has since been replaced by the new Cathedral of Our Lady of the Angels. The music in the clip includes Puer natus in Bethlehem, the Kyrie from Licinio Refice’s Missa Choralis and Adeste fideles. Our grateful thanks to a kind NLM reader who remastered the clip and made it available to us. The Metropolitan Sheptytsky Institute at the University of St. Paul in Ottawa, Canada is offering an Introduction to Sacred Music course during the university study week, Feb 16-21, 2015. It is a standard 3-credit undergraduate university course, compressed into one week, six hours a day. Students can also register as auditors. It is being taught by conductor Uwe Lieflander and Dr. Brian Butcher. A more complete description is available here: http://ustpaul.ca/upload-files/Theology/cours2014-2015/THO_2141_H_2015_-_Course_Description_2.pdf. Students can register for the course (for credit or as an auditor) by completing this fillable PDF form: http://ustpaul.ca/upload-files/Admissions-Recruitment/registration-form-special-student_new.pdf and submitting it to Christine Prévost via email at cprevost@ustpaul.ca. On behalf of all the writers of New Liturgical Movement, I wish all of our readers a Merry Christmas, and every blessing from the Child that is born unto us! By the prayers of the Holy Mother of God and all the Saints, may God grant the world peace in the coming year. It is a well-known fact that the first letters of the seven titles with which the O antiphons begin, when read in reverse order, form an anagram, ERO CRAS, Latin for “tomorrow I shall be.” The order in which they are sung, however, is not purely casual, nor arranged solely for the sake of the anagram; it also forms a catechesis on the history of salvation in Christ. Moses and the Burning Bush, by Nicholas Froment, 1476, in the Cathedrale Saint Sauveur in Aix-en-Provence. The artist is here inspired by one of the Lauds antiphons of the feast of the Circumcision: “The bush which Moses saw unburnt, we acknowledge as Thy praiseworthy virginity; Mother of God, intercede for us.” This also refers to the Law of Moses, in obedience to which Christ was circumcised on the eighth day after His birth. The O antiphons do not explicitly mention the Incarnation, to which the whole season of Advent is dedicated; nor do they anticipate the birth of Christ, which is celebrated at Christmas. Likewise, it would also be out of keeping with the joyful nature of the season to work in any explicit reference to Christ’s passion and death; instead, these are spoken of obliquely in the fourth and fifth antiphons. “O Clavis David – o key of David” and the term that follows, “scepter of the house of Israel” refer to the Angel Gabriel’s words to the Virgin Mary at the Annunciation, that Her Son would be given the seat of David, and rule in the house of Jacob, whose other name is Israel. Where the antiphon prays that Christ may come “to lead out the prisoner from the house of the prison, and him that sitteth in the darkness and the shadow of death”, the prisoner is Adam, the forefather of the human race, and by inference, all the just who died before the death and resurrection of Christ had opened the gates of heaven, and thus remained “in darkness and the shadow of death.” Note in the image below how Christ at the Harrowing of Hell is shown holding the Cross, which is suggestive of a key in its form. Behind, the locks and bars of the Limbo of the Fathers are broken. 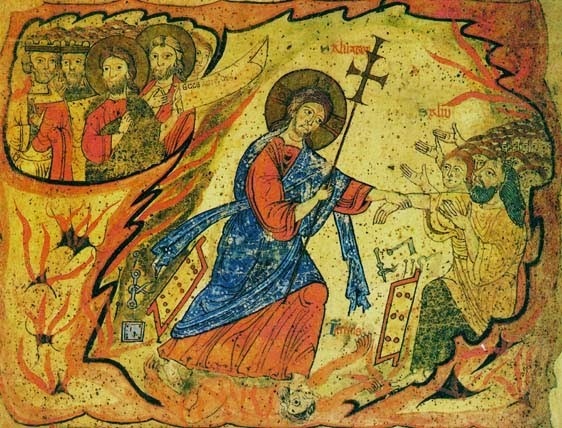 Of course, the Harrowing of Hell is necessarily preceding by the passion and death of Christ, which in turn are necessarily preceded by the Incarnation. “O Oriens” is about the Resurrection, since “Oriens” means “the rising one.” This antiphon describes Christ as “the splendor of eternal light, the sun of justice”, which is to say, the Light and Sun that shall see no setting. Here the Church professes its hope in the future resurrection, by speaking of the “eternal light” on December 21, the winter solstice and the shortest hours of daylight. It is surely not a coincidence that this is also the shortest of the O antiphons. The object of the prayer at the antiphon’s end is repeated from yesterday, but now in the plural: “come and shine upon those who sit in the darkness, and the shadow of death.” This indicates that the fruits of Christ’s passion and resurrection are to be shared with the whole of the human race in each of its members. 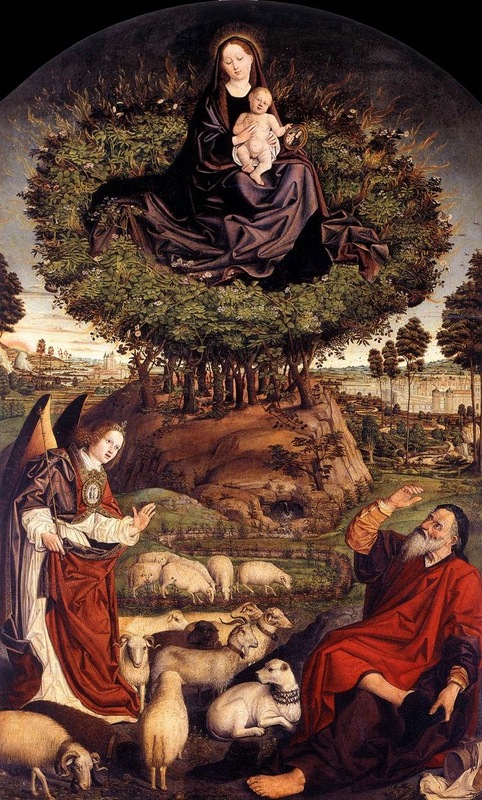 “O Rex gentium”, therefore, refers to the Ascension, Pentecost, and the establishment of the Church. On the feast of the Ascension, the first words of the Magnificat antiphon at Second Vespers are “O Rex gloriae”, sung in the same mode and with the same notes as the beginning of the O antiphons. 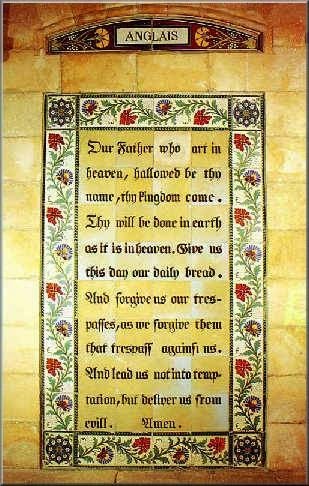 These are the only two antiphons of the ancient corpus in general use throughout the Roman Rite that begin with these words. The word “gloriae – of glory” is substituted by “gentium – of the nations” to symbolize the nations that come into the Church, beginning with the Apostles’ preaching to nations of diverse languages at Pentecost. 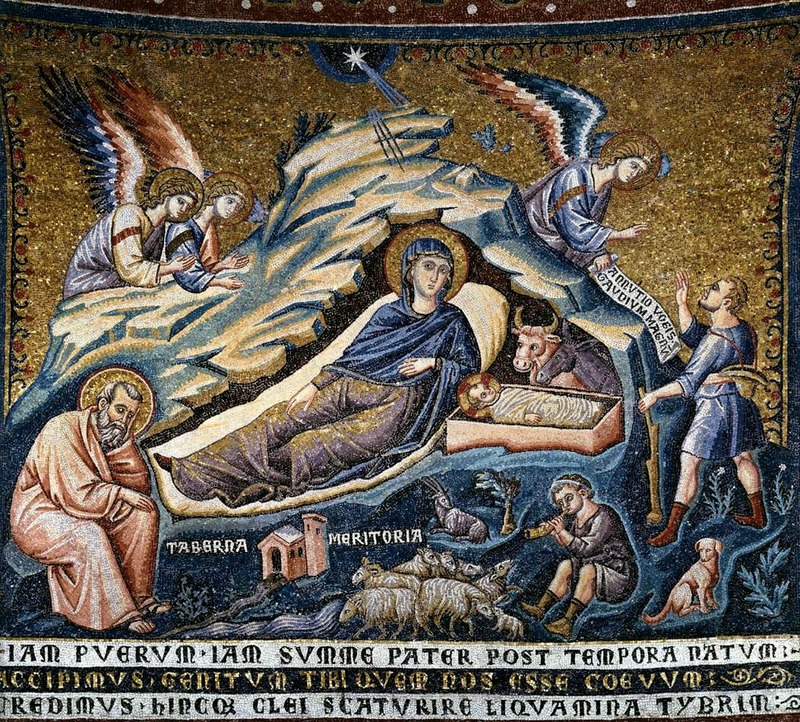 On the morning of December 23rd, the Church sings the canticle Benedictus with the antiphon “Behold, all things are completed which were said through the Angel about the Virgin Mary.” This being so, the last O antiphon, “O Emmanuel”, addresses Christ with the name meaning “God is with us”, the name of the child whose coming was prophesied by Isaiah when he foretold that “a Virgin shall conceive and bear a Son”. There follow the titles “our King and lawgiver, the expectation of the nations, and the Savior thereof.” In the previous antiphon, the word “desideratus – the desired (of the nations)” is a past participle, indicating that the longing of the nations for the first coming of Christ has been fulfilled. Here He is “the expectation of the nations”, the Latin word “expectatio” indicating an ongoing action, as we await the Second Coming of Christ, who “shall come again in glory to judge the living and the dead, and His kingdom shall have no end.” This returns us to a theme which has been present from the very beginning of Advent, which recalls both the First Coming of Christ in the fullness of time, and His Second Coming at the end of the world. My thanks to an old friend, Mr Lucas Viar Basterra, for providing us with this assessment of the on-going restoration of the cathedral of Chartres, and critique of some of the controversies related to it. Mr Viar was born in Houston, Texas, but has lived most of his life in Bilbao, Spain. After studying architecture in San Sebastián, and Restoration and Sacred art at La Sapienza in Rome, he has worked for the Municipal Museums of Florence and the Spanish Cultural Heritage Institute. He is currently starting his own firm. Many NLM readers will be familiar with the cathedral of Chartres as the destination of the Péle, the Pentecost pilgrimage organized by Notre-Dame de Chrétienté (Our Lady of Christendom). 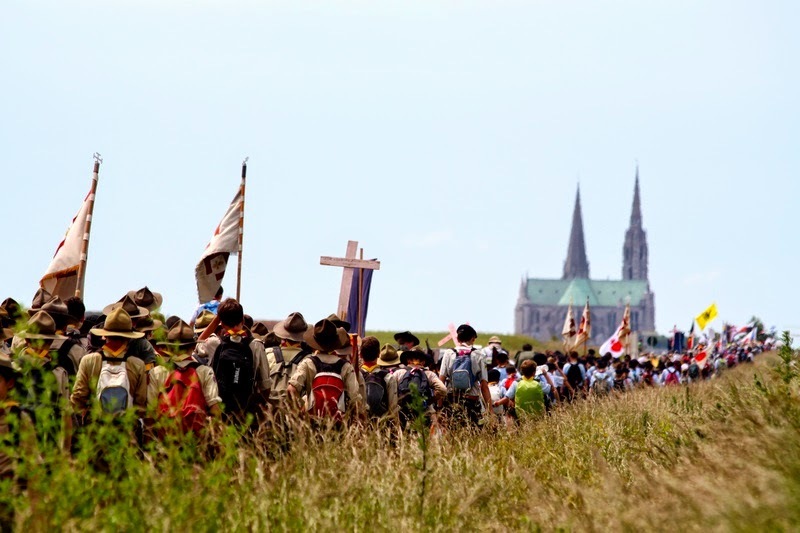 Every year several thousand Catholics from all over the world walk together the 60 miles that separate Paris from Chartres. The cathedral can be seen from miles around, like a beacon rising from the rolling green fields of the landscape. It is truly a breathtaking sight. The great cathedral at Chartres is not only an important Catholic centre for France, It is also one of the best examples of French Gothic architecture. 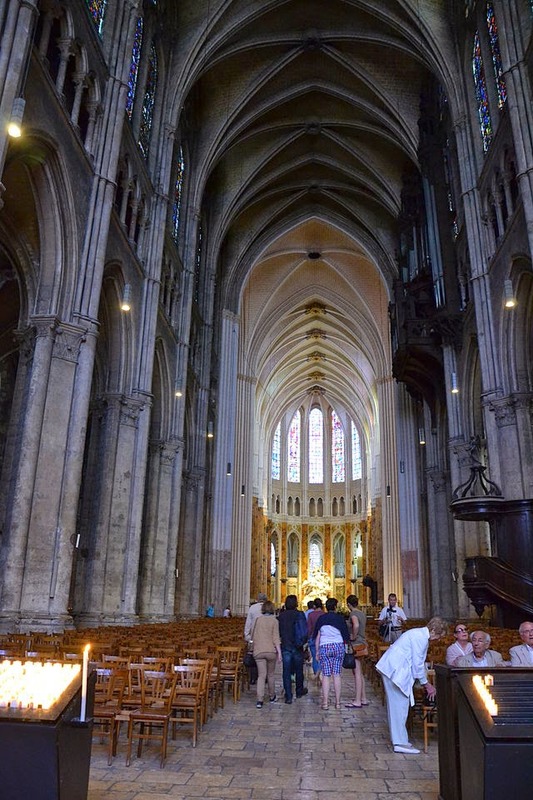 Chartres defines the archetype of what a Gothic cathedral should be. It’s proportions, arches, stained glass windows, spires, sculptures, are what all other Gothic churches in France are measured against. The building has had a fortunately uneventful history. It survived the French Revolution almost unscathed, when churches such as Notre-Dame de Paris were plundered, vandalized or repurposed. It was also heroically saved from bombing during World War II by an American Army Officer. 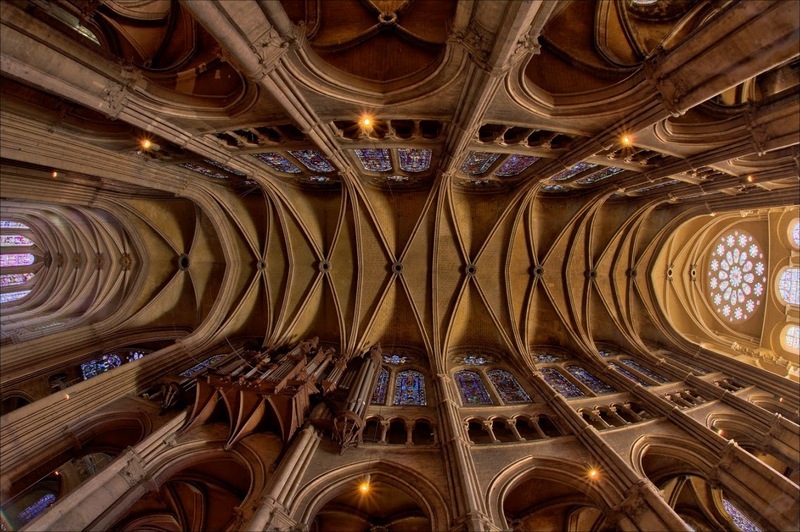 This makes the cathedral of Chartres one of the best preserved 13th century Gothic churches in France. Too often we are saddened by reports of the demolition of beautiful churches, but here I am pleased to discuss the efforts that are being made to help this wonderful monument to our faith survive for another eight centuries. In 2009, the French government, which has owned the building since the Revolution, embarked on a massive restoration campaign. The works have been scheduled to last for a decade and cost over 20 million euros. The vast majority of the work is being carried out on the interior of the cathedral, and includes the restoration of the spectacular stained glass windows. Everybody seems very happy to see the windows cleaned and restored, but another side of this restoration is proving to be more controversial. 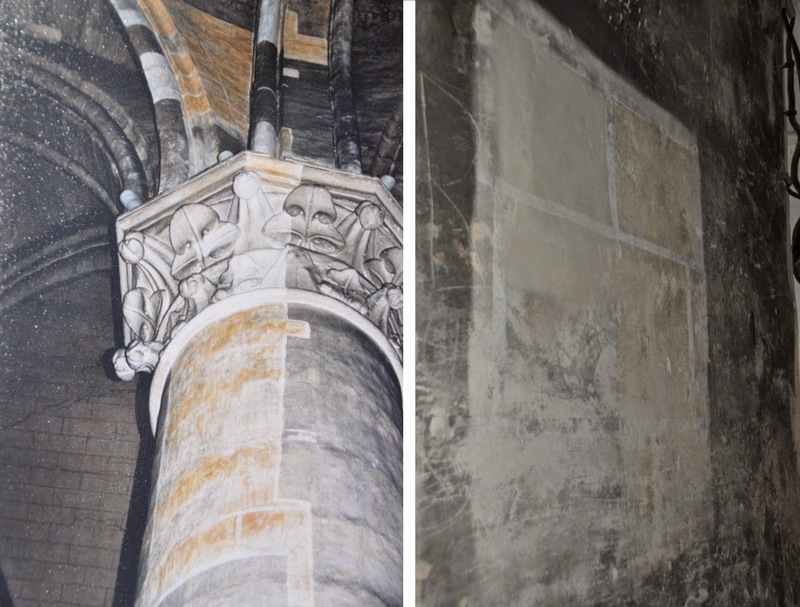 I am referring to the alleged “repainting” of the vaults, pillars and walls of the church. The fact that the interiors of medieval churches were commonly plastered and painted seems to be something new and somewhat uncomfortable to some in the art history community, not unlike the idea that Greek sculptures were vividly colored. In 1989 the first findings of mural painting at Chartres were published, and an extensive sampling campaign conducted in 1994 determined that around 80% of the interior surface of the church had preserved its 13th-century decoration. The original decoration emerges during the cleaning process. 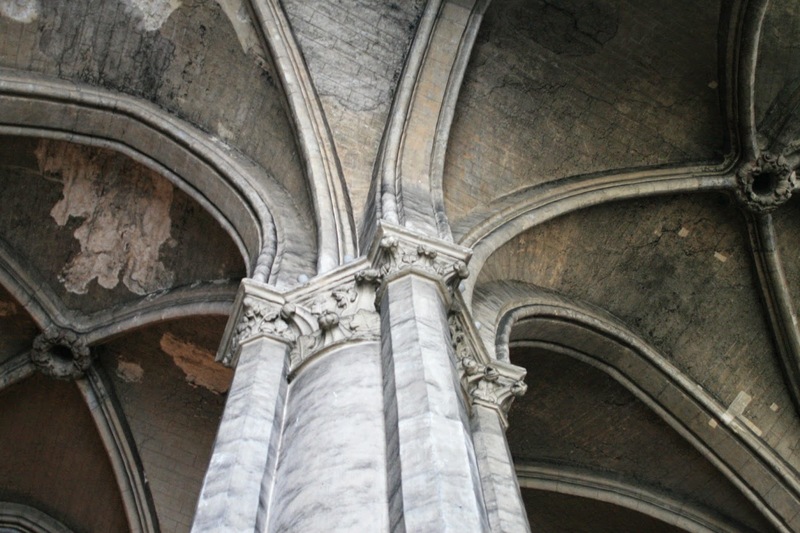 The design painted on the vaults and walls of the cathedral was a simple one, a light ochre background over which lines were painted in white to simulate masonry. One of reasons medieval builders did this was to cover up any irregularities or faults in the actual stonework, and give the interior a tidy, continuous finish, with an appearance of strength and quality. Over time, this first rendering was darkened by dust, soot and grime. With the passing of the centuries the walls and vaults were whitewashed to give the interior a cleaner look. These washes were fairly thin, and so with time, the lines beneath them started to appear. This factor, coupled with more soot and grime, made the visitor believe that what he was seeing was actual stone. The aim of the restoration in progress is to uncover these original decorations. I believe that most specialists agree that 13th-century mural decorations have the same historic importance as 13th century stained glass. Therefore, I find that the effort to clean, consolidate and preserve them very laudable. A short video published by the French Ministry of Culture shows different stages of the restoration process. At 00:36, we can see how the painted decoration appears miraculously when the grime is removed with a brush. Other parts need to be painstakingly cleaned with a scalpel. The parts where the 13th century rendering has been lost are repainted in imitation of the original, a process is known as reintegration. Today, halfway through the project, we can see side by side the before and after states of the nave. The vaults of the sanctuary, ambulatory and choir have been cleaned and reintegrated, while the rest of the nave remains a dark grimy gray. The contrast is enormous. Restoration has also concluded on the 18th century decorations of the sanctuary, including gilding and faux marble. At this point, enter the art critics: The Spectator’s Alasdair Palmer a couple of years ago, Le Figaro’s Adrien Goetz, and last week Martin Filler in the New York Review of Books. They use words such as tragedy, disgrace, sacrilege or scandalous makeover. I find the latest of these critic articles, that by Mr. Filler, particularly aggressive. As an architect specialized in heritage restoration, I feel a strong empathy towards the people behind the restoration at Chartres. Coincidentally, a few weeks ago I was fortunate enough to attend a lecture by Prof. Anne Vuillemard-Jenn. The subject was historic mural painting in French Gothic churches, among them, Chartres. Everybody is entitled to an opinion, and, in the case of these gentlemen, it’s the way they make their living. I would certainly not argue against criticism towards some of the criteria applied in Chartres. For example, one could argue endlessly on the manner and degree in which the walls were cleaned, or on if they should have reintegrated the missing parts using a muted color instead of reproducing the masonry motif, or if the vision of the stained glass has been distorted by a too bright interior. Mr Filler, fueled by the feeling of disappointment during his last visit, accuses the team lead by Frédéric Didier, of repainting the cathedral in what he terms “garish”colors. He doesn’t seem to grasp the fact that what we see today has been there for the past 800 years. He is keen on the idea that what he saw when he last visited Chartres 30 years ago was not an accumulation of grime and soot over this decorations, but actual stone. In an attempt to discredit the professional capabilities of the project’s director, Didier, he brings up a previous project, the Sanctuary of the Sacred Heart at Paray-le-Monial. This church, where St Margaret Mary of Alacoque had her famous visions, had underwent a very aggressive renovation during the first half of the 20th century, when all the walls were scraped to bring out the stone. The project, directed by Didier, who according to Mr. Filler “wrecked” the church, included the rendering of the bare stone walls in white and ochre, colors close to the few original remains left. The article in the New York Review was almost immediately answered by two renowned scholars, Madeline Caviness and Jeffrey Hamburger. As members of the American Friends of Chartres advisory board they have had a very detailed knowledge of what has been done there, and in their response they politely point out the article’s mistakes and describe clearly the extent of the works. Nevertheless, Filler responds shortly after, with another aggressive tirade, doubting the impartiality of these two scholars and the quality of the scientific research behind the project. If one strips away the disqualifications and the pejorative descriptions from his writing, the only arguments that Filler has to criticize the restoration are of a subjective, aesthetic, and almost emotional nature, which could be summarized as: “I don’t like it because it doesn’t look medieval enough”. As I have said, we are all entitled to opinions of that type. 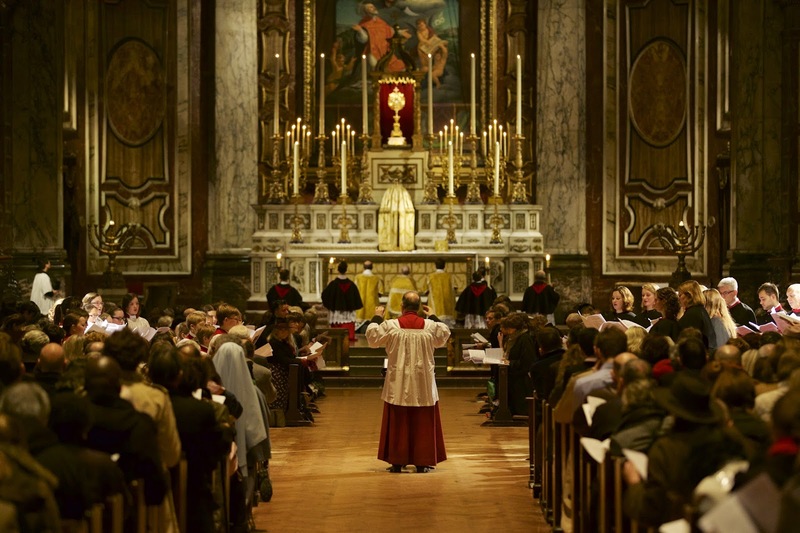 The London Oratory Carol Service takes place tomorrow evening, Monday 22 December at 7.30pm (doors open from 7pm). The service follows the pattern of the traditional English Carol Service, with the addition of Benediction. In the spirit of St Philip Neri's love of drawing the faithful to devotion through the powerful combination of scripture and music, all of the carols are closely related to the readings. Rachmaninov's Ave Maria follows the reading of Gabriel's Message, while Peter Cornelius's Three Kings, with its climactic 'offer thy heart to the infant King' is the motet sung before the exposed Blessed Sacrament. A particular feature of this service is the interplay between the Oratory's Junior Choir, for boys and girls aged 8-16, and the professional Senior Choir, in medieval cantiones as well as in the traditional German alternation of Quem pastores, in which the 'Angels' (the Junior Choir) sing from the gallery while the 'Shepherds' (the Senior Choir) respond from below with 'Nunc angelorum gloria!'. 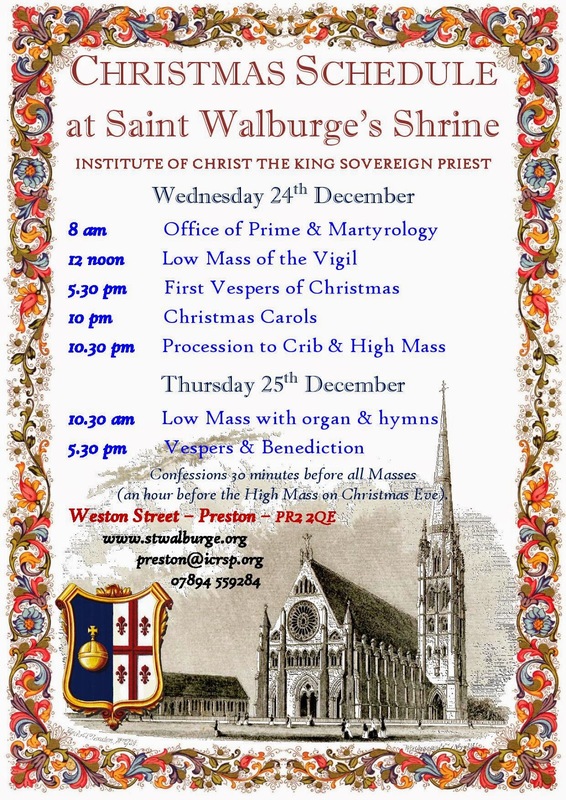 The service will include a carol by the Oratory's organist, Matthew Martin, on the text of the 'O' Antiphon for December 22, O Rex Gentium. A Solemn High Mass in the Extraordinary Form of the Roman Rite will be offered for the feast of the Epiphany of the Lord. The music, provided by Chantry, will be the Missa Ave Maris Stella by Tomás Luis de Victoria and the Propers from the 1607 Gradualia by William Byrd. The celebrant and homilist will be the pastor, Monsignor Charles Pope. Free parking is available at the Public Charter School, 1503 East Capitol Street S.E. 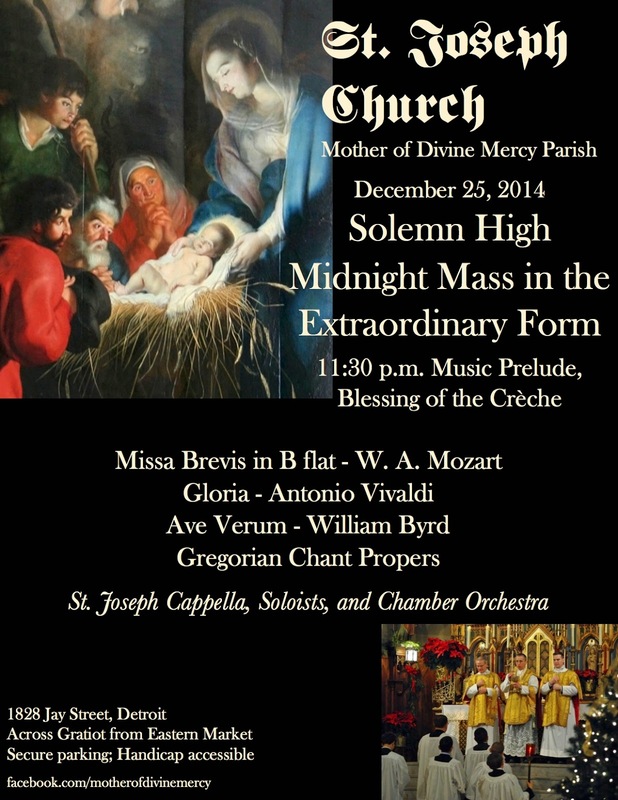 Mozart’s Missa Brevis in C Major, also known as the “Spatzenmesse - Sparrow Mass”, will be performed on Christmas Eve at the 9:00 PM Traditional Latin High Mass in downtown Jersey City’s historic St. Anthony’s Church, located at Monmouth St. between 6th and 7th. Simone Ferraresi, the noted composer, pianist and conductor will be directing the Cantantes in Cordibus chorus and orchestra. A strong drive behind St. Anthony’s performance of this classical sacred masterpiece is the many young parishioners who have recently joined the growing parish in a quickly gentrifyng city. The Spatzenmesse or Sparrow Mass was written by Wolfgang Amadeus Mozart in 1775 or 1776 in Salzburg. 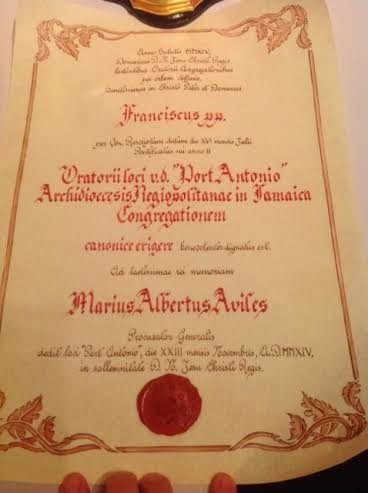 This Mass had its debut on Easter Sunday 1776 at the Cathedral of Salzburg. It is called “the Sparrow Mass” from the violin figures played at the words “Hosanna in excelsis”of the Sanctus, which sound like the chirping of birds. A concert of Seasonal Sacred Music will begin at 8:30, and will include selections from Handel’s Messiah, as well selections from the Renaissance and Romantic Periods. The program also includes the ancient Gregorian Chants sung by the Men’s Schola. Selections from Monteverdi’s Vespers and Vivaldi’s baroque masterpiece, Gloria will also be performed. The director, Simone Ferraresi, studied at the Conservatory of Music in Ferrara, Italy where he earned his degree with highest honors; at the Academy of Music and Performing Arts in Vienna he studied with world renowned pianist and musicologist Paul Badura-Skoda. Maestro Ferraresi specialized in interpretation of classical composers; at the Royal Academy of Music in London, where he was awarded the Diploma of the Royal Academy of Music – the highest examinable award given by the Royal Academy. He was also awarded three special prizes for best performance in the final recital. He is the founder and artistic director of the Ferrara International Piano Festival. 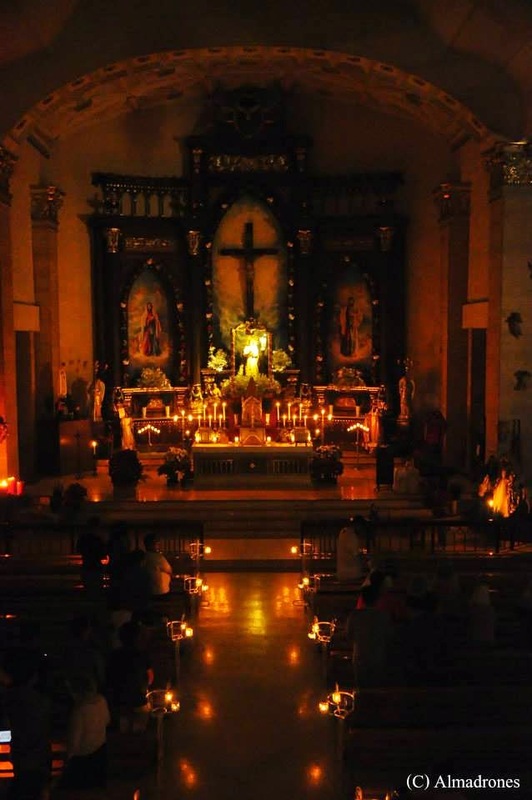 St. Joseph Church, Mother of Divine Mercy Parish in Detroit will have a Solemn High Midnight Mass in the Extraordinary Form, with music beginning at 11:30 p.m. The St. Joseph Cappella, Soloists, and Chamber Orchestra will also present this music at an Ordinary Form Mass for the Solemnity of the Epiphany of the Lord on Sunday, January 4, 2015 at 11:30 a.m. In an English-language interview on Gloria TV with Una Voce Austria, recently transcribed, His Eminence Cardinal Raymond Leo Burke spoke about a variety of issues facing the Church today. What I appreciate most is the Cardinal's beautiful reflections on Catholic life as it used to be and his sober assessment of the aftermath of the Second Vatican Council. It can be tiresome to hear people go on about "how bad things were before the Council" and "how much we needed the Council." Sure, there were problems, and no one can deny it; did we ever expect the Catholic Church on earth to be free from problems? Is the fallen human race ever free of problems? But what men like Cardinal Burke help us to see is that, in fact, things were a great deal better, in general, before the Council, and that we are still very much in a rebuilding and recovery mode right now, like emergency workers after a giant earthquake or tsunami strikes. Q. Your Eminence, you grew up before the Second Vatican Council. How do you remember those times? A. I grew up in a very beautiful time in the Church, in which we were carefully instructed in the faith, both at home and in the Catholic school, especially with the Baltimore Catechism. 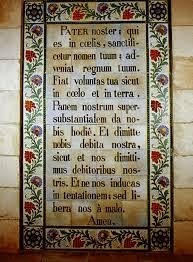 I remember the great beauty of the Sacred Liturgy, even in our little farming town, with beautiful Masses. And then, I'm of course most grateful for my parents who gave me a very sound up-bringing in how to live as a Catholic. So they were beautiful years. Q. A friend of mine who was born after the Council used to say, "Not everything was good in the old days, but everything was better." What do you think about this? A. Well, we have to live in whatever time the Lord gives us. Certainly, I have very good memories of growing up in the 1950's and early 1960's. I think what is most important is that we appreciate the organic nature of our Catholic Faith and appreciate the Tradition to which we belong and by which the Faith has come to us. Q. Did you embrace the big changes after the Council with enthusiasm? A. What happened soon after the Council - I was in the minor seminary at that time, and we followed what was happening at the Council - but the experience after the Council was so strong and even in some cases violent, that I have to say that, even as a young man, I began to question some things - whether this was really what was intended by the Council - because I saw many beautiful things that were in the Church suddenly no longer present and even considered no longer beautiful. I think, for instance, of the great tradition of Gregorian Chant or the use of Latin in the celebration of the Sacred Liturgy. Then also, of course, the so-called 'Spirit of Vatican II' influenced other areas - for instance, the moral life, the teaching of the Faith - and then we saw so many priest abandoning their priestly ministry, so many religious sisters abandoning religious life. So, there were definitely aspects about the post-conciliar period that raised questions. Q. You were ordained a priest in 1975. Did you think that something in the Church had gone wrong? A. Yes, I believe so. In some way, we lost a strong sense of the centrality of the Sacred Liturgy and, therefore, of the priestly office and ministry in the Church. I have to say, I was so strongly raised in the Faith, and had such a strong understanding of vocation, that I never could refuse to do what Our Lord was asking. But I saw that there was something that had definitely gone wrong. I witnessed, for instance, as a young priest the emptiness of the catachesis. The catechetical texts were so poor. 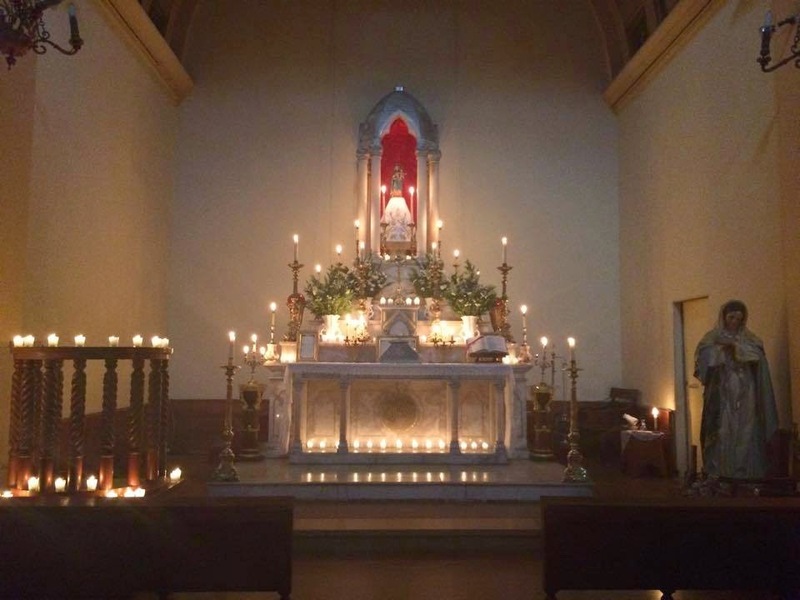 Then I witnessed the liturgical experimentations - some of which I just don't even want to remember - the loss of the devotional life, the attendance at Sunday Mass began to steadily decrease: all of those were signs to me that something had gone wrong. Q. Would you have imagined in 1975 that, one day, you would offer Mass in the rite that was abandoned for the sake of renewal? A. No, I would not have imagined it. 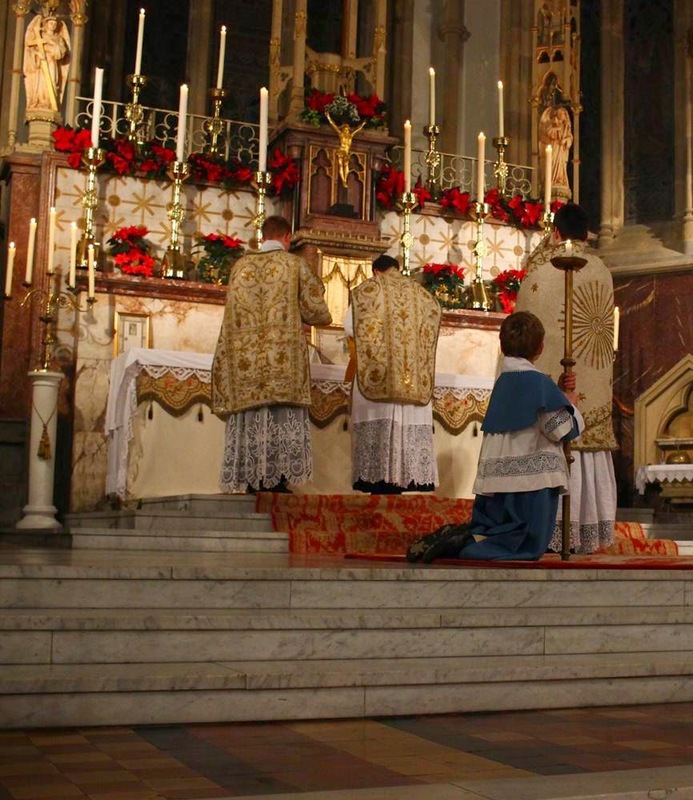 Although, I also have to say that I find it very normal, because it was such a beautiful rite, and that the Church recovered it seems to me to be a very healthy sign. But, at the time, I must say that the liturgical reform in particular was very radical and, as I said before, even violent, and so the the thought of a restoration didn't seem possible, really. But, thanks be to God, it happened. Q. Juridically, the Novus Ordo and the Traditional Latin Mass are the same rite. Is this also your factual experience when you celebrate a Pontifical High Mass in the new or the old rite? A. 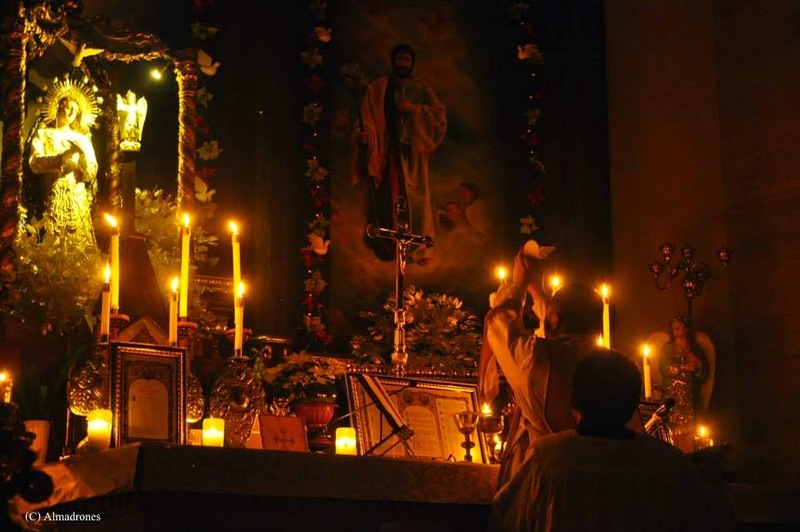 Yes, I understand that they are the same rite, and I believe that, when the so-called New Rite or the Ordinary Form is celebrated with great care and with a strong sense that the Holy Liturgy is the action of God, one can see more clearly the unity of the two forms of the same rite. 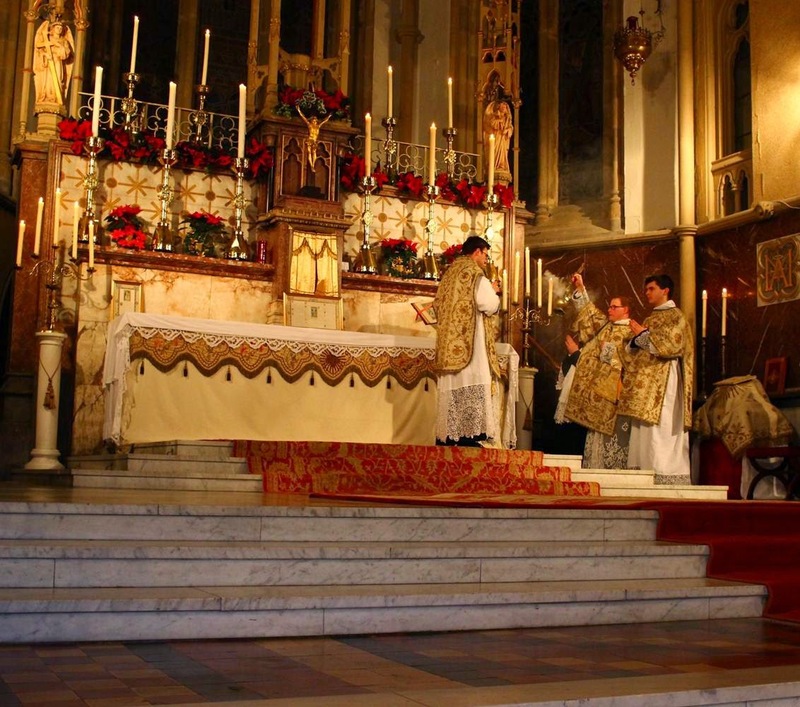 On the other hand, I do hope that - with time - some of the elements which unwisely were removed from the rite of the Mass, which has now become the Ordinary Form, could be restored, because the difference between the two forms is very stark. A. The rich articulation of the Extraordinary Form, all of which is always pointing to the theocentric nature of the liturgy, is practically diminished to the lowest possible degree in the Ordinary Form. Q. The Synod on the Family has been a shock and sometimes even a scandal, especially for young Catholic families who are the future of the Church. Do they have reasons to worry? A. Yes, they do. I think that the report that was given at the mid-point of the session of the Synod, which just ended October 18th, is perhaps one of the most shocking public documents of the Church that I could imagine. And, so, it is a cause for very serious alarm and it's especially important that good Catholic families who are living the beauty of the Sacrament of Matrimony rededicate themselves to a sound married life and that also they use whatever occasions they have to give witness to the beauty of the truth about marriage which they are experiencing daily in their married life. Q. Most practicing Catholics in an average parish in Western Europe and the U.S. are those who were baptized and catechized before the Council. Is the Church in these countries living from her past? A. I think that my generation, for instance, was blessed to grow up at a time in which there was a strong practice of the Catholic Faith, a strong tradition of participation in Sunday Mass and the Sacred Liturgy, a strong devotional life, a strong teaching of the Faith. But in some way, I believe, we sadly took it for granted, and the same attention was not given to pass on the Faith as we had come to know it to the success of generations. Now what I see it that many young people are hungering and thirsting - and this already for some time - to know the Catholic Faith at its roots and to experience many aspects of the richness of the tradition of the Faith. So I believe that there is a recovery precisely of what had been for a period of time lost or not cared for in a proper manner. I think that now there is a rebirth at work among the young Catholics. Regular readers of NLM will have noticed that we have posted events sponsored by the Society of Saint Dominic, located in Winnipeg. Not long ago they welcomed the great Fr. John Saward to speak to them on "The Call to Holiness and the Hidden Riches of the Traditional Latin Mass." The Society's mission: the salvation of souls through the rediscovery of the contemplative Catholic tradition in her arts, her liturgy and the lives and writings of her Saints. Incorporated in Winnipeg -- as a private association of the lay faithful -- it promotes spiritual conferences, public talks and cultural events which emphasize the Spiritual Acts of Mercy; to instruct the ignorant; to pray for the living and the dead. 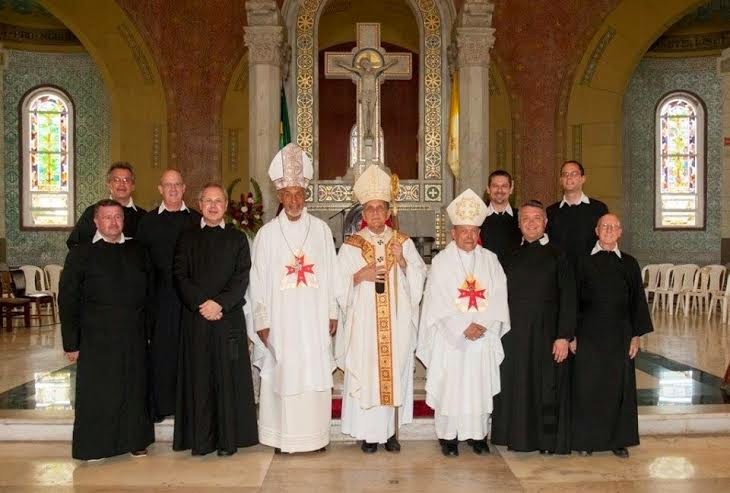 Under the dual Queenship of Our Lady of the Rosary and Our Lady of Mount Carmel, the Society of St. Dominic invokes the patronage of one monastic and two mendicant saints: Saint Dominic of Silos, Saint Dominic Guzman and Saint Therese of Lisieux. My purpose today is simply to direct readers to the stunningly beautiful website they have developed, itself a testimony to their principled love of sacredness and beauty. Its four sections are Musica Sacra, Sacra Liturgia, Architectura Sacra, and Sacra Doctrina. Although currently the Society is mostly making available articles and documentaries produced by others, their website is establishing itself as a very nice gathering spot for lovers of tradition and beauty. I highly recommend a visit. We are happy to share with our readers the following information from Prof. Adam Bartlett of the Liturgical Institute at Mundelein Seminary in Chicago. I am very excited to introduce a new initiative in sacred music education from The Liturgical Institute (Mundelein) in collaboration with Illuminare Publications. As a new member of the faculty and staff of The Liturgical Institute, I am offering a series of chant workshops throughout the year on the Mundelein campus, and am also making available a traveling workshop program to dioceses around the country. These day-long workshops have been designed around the liturgical seasons, and are intended primarily for parish musicians and clergy as a resource for continuing formation and training. Those who work with the liturgy on the parish level know that mere training is not enough. In order to renew and strengthen parish music programs, quality music resources are also needed. This is why the Institute’s chant workshops will make use of the books and resources in the Lumen Christi Series, which I have edited with Illuminare Publications, alongside the Church’s official chant books. In this way, theory can be put into practice on the parish level with reliable resources that are accessible to parishes today. The first workshops are being offered this January, at the USML Mundelein Conference Center, focusing on the Chants of Lent and Holy Week. 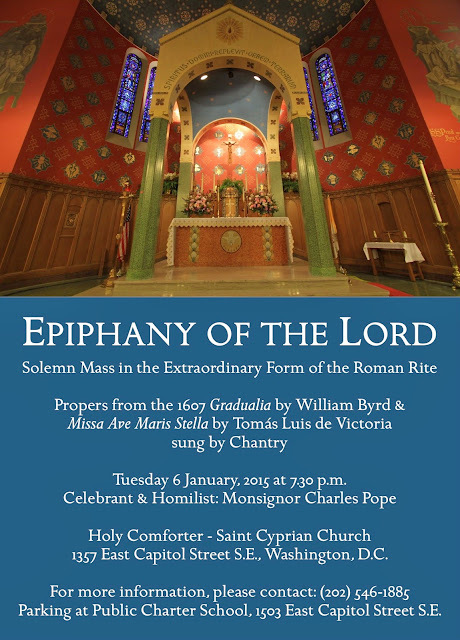 Join us on January 9th, 2015 for a workshop on The Chants of Lent, which will provide a general introduction to the principles of liturgical chant, and will explore the antiphons and propers of the Lenten season. Find out more and register for the conference here. Also, on January 15th, 2015 the popular conference Treasures of the Triduum will explore the Chants of Holy Week, beginning with Palm Sunday through the Easter Vigil. Learn more and register here. I am very excited to begin this new effort with The Liturgical Institute, and am very glad to bring my work with the Lumen Christi Series into collaboration with an educational program that will help parishes enact lasting, authentic liturgical renewal. I hope that you will join me, and encourage your pastors and music directors to send their liturgical musicians to these and future workshops! To learn more or to learn how to host a chant workshop in your diocese, please contact The Liturgical Institute at litinst@usml.edu, or call 847-837-4540. 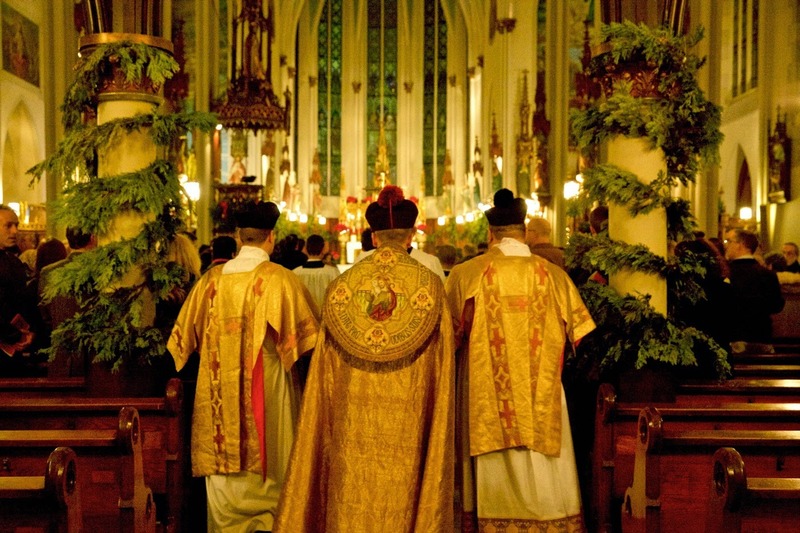 We will be doing a photopost of Gaudete Sunday Masses, featuring your rose-colored vestments, and any Rorate Masses celebrated at any point this Advent, in either Form of the Roman Rite, as well as celebrations of the Office. Please send photos to: photopost@newliturgicalmovement.org for inclusion in the photopost. Thanks! The workshop is sponsored by the Office of Liturgy of the Archdiocese of New York and St. Joseph’s Seminary. 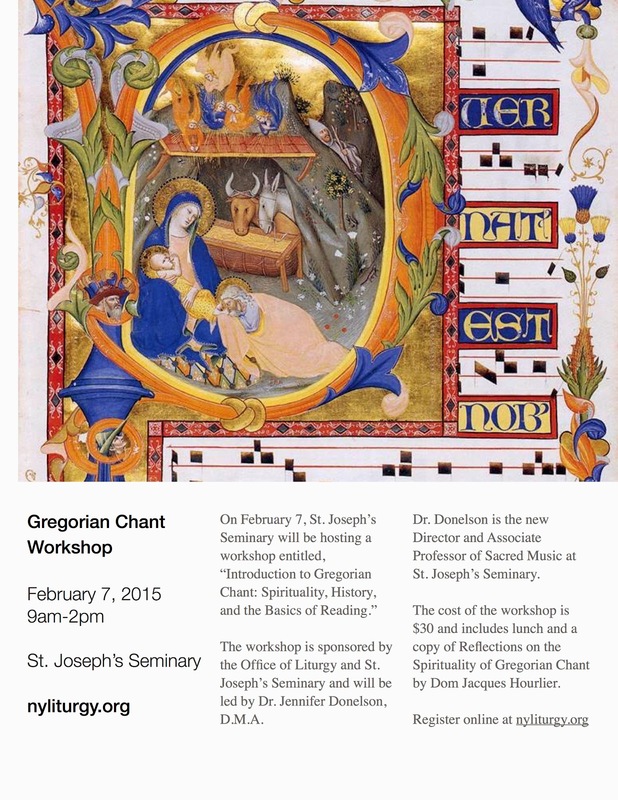 The cost of the workshop is $30 and includes lunch and a copy of Reflections on the Spirituality of Gregorian Chant by Dom Jacques Hourlier. EWTN has just published a video report of the presentation of the English and Italian editions of the proceedings of Sacra Liturgia 2013 in Rome last month, which we reported about here. The report includes interviews with Bishop Dominique Rey and Raymond Leo Cardinal Burke on the Sacred Liturgy and upcoming Sacra Liturgia events. Our thanks to all those who sent in their photographs of liturgies celebrated on the Immaculate Conception. Scroll down and you can check out some beautiful and perfectly licit blue vestments from the Philippine Islands and Chile. 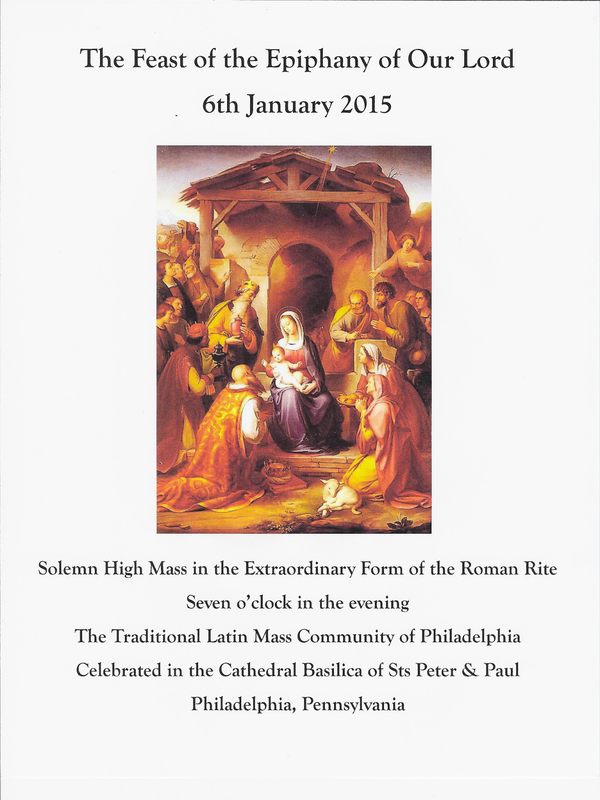 Our next photopost will be of Rorate Masses, and Masses for Gaudete Sunday; please send your photos in by the 24th. If you are looking for Christmas gift ideas, here are two wonderful CD recordings from St John Cantius in Chicago. 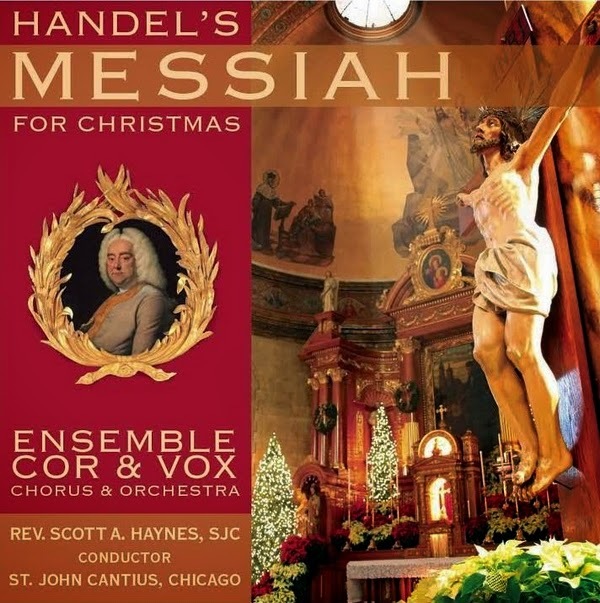 The recording of Handel's Messiah, made last year, is sung by Ensemble Cor et Vox directed by Rev Scott A. Haynes SJC. The Hallelujah Chorus is featured in the YouTube clip below. The other recording, also by the musicians of St John Cantius, features Mozart's Coronation Mass K317, Dixit Dominus and Magnificat. The second clip below features the Gloria of the Coronation Mass. Both recordings, and many others, are available from the St John Cantius online store. I am no expert on these things, but when listening to and singing Paul Jernberg’s music for the liturgy, especially his Mass of St Philip Neri, I am excited by a number of things. This music is accessible to the ear - in my opinion it has beauty and dignity appropriate to the Mass, so that, without compromising on traditional principles, I have noticed that even congregations who are not schooled in traditional chant and polyphony enjoy it. It is also, I find, accessible for the singer - I would say that most parish choirs could sing this well (although not all perhaps as beautifully as the professional choir on the CD). I could also hear different influences in his style, especially liturgical music for the Eastern rite. Nevertheless it seems wholly appropriate for the Roman rite for which this is written. I was curious therefore to know of the opinion of an established composer in the Eastern rite, Roman Hurko, so I asked him what he thought about it and, if he liked it, would he write a review of it for us. 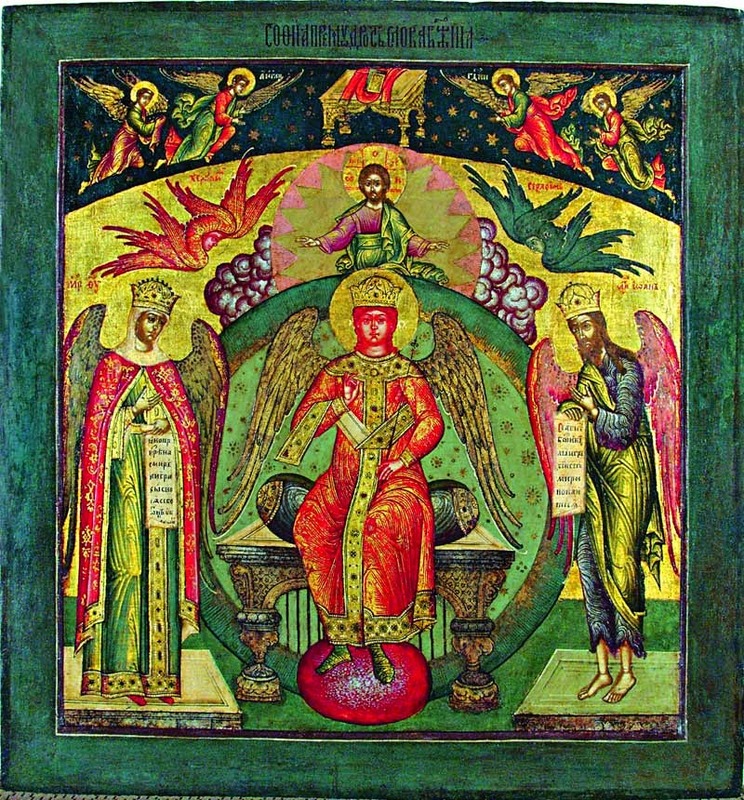 Roman writes for the Ukrainian Greek Catholic liturgy. I have put a recording of his music at the bottom of this article along with some of Paul's music (both would make a good present for someone!) You can hear more at www.romanhurko.com, and if you want to purchase his music on iTunes, then the link is here. 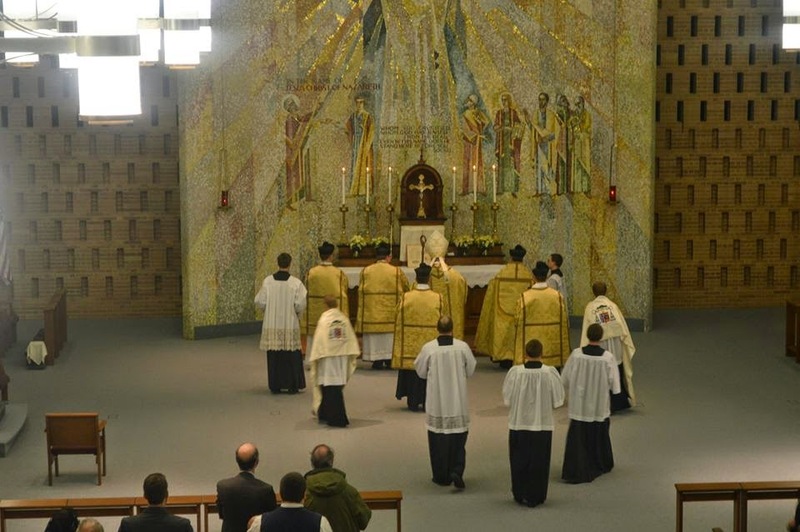 ‘I find this Mass setting very beautiful; very contemplative. 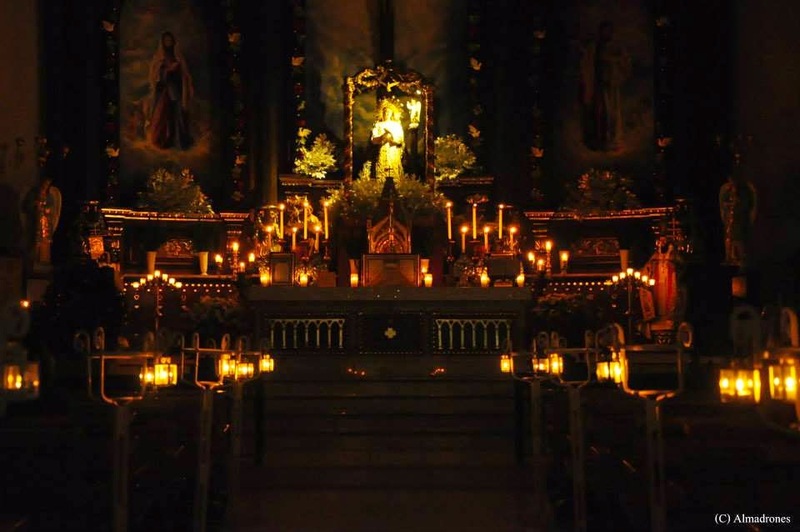 As a composer from the Ukrainian Greek Catholic church tradition, I feel very much at home in its aesthetic, one that I would characterize as eschewing the harshness of electric light in favor of the soft glow emanating from candlelight. ‘As in the Eastern church tradition, this Mass setting is sung completely from A – Z by priest, choir, and readers. Mr. Jernberg’s musical transitions between priest and choir are stylistically coherent and seamless. I would recommend that all young composers study Mr. Jernberg’s organic setting, as I have often found it jarring when a priest sings chant and is then responded to by the choir in a completely different musical style. ‘Another eastern rite similarity is the use of a melody over an is on, or drone. This essentially monophonic device is complemented in this setting by polyphonic consonant harmonies, with a judicious use of suspensions and appoggiaturas, often ending with stern, medieval sounding open fifth chords. However, no matter the harmonic texture, the text of the prayers is always clear to the listener (kudos to Maestro Thompson and his choir! ), and is always served beautifully by the music. Clearly, Mr. Jernberg was guided in his compositional process by the principle of Noble Simplicity, and although there are similarities to the Eastern polyphonic style in this setting, it is clearly grounded in the greatness of the Western tradition. A couple of notes: when Mr Hurko refers to the ‘polyphony’ of Paul's music I understand that he is using the word in the broadest sense, i.e. ‘many sounds’, rather than the narrower meaning some will be used to, which refers to the form of music dominated by counterpoint as in for example, the polyphony of the High Renaissance. Some might use the word ‘homophony’ to apply to Paul’s music instead. Also, if anyone like me didn’t know, an appoggiatura is a non-harmonic tone that happens on a strong beat or strong emphasis in the melody and ultimately resolves into the main note. Paul uses these judiciously, but in way that adds greatly to the beauty of the overall piece. Without knowing the technical word, I could hear that he was momentarily ‘stepping out’, so to speak, in order add to the sense of resolution when he steps back in again at the end of a phrase. The upcoming issue of Sacred Music features many excellent new essays, including a particularly insightful essay by Harold Boatrite, a few essays about "Viennese Masses", and an article by Dr. John Pepino about Louis Bouyer. There are also some important announcements from the CMAA at the very tail end of the issue, which I cross-link here for convenience. Yearly subscriptions are part of a CMAA annual membership and are available here. For those who have yet to renew your membership, you may do so here, or by submitting the renewal envelope in the issue. The new issue should arrive in mailboxes soon! How many times do lovers of the classical Roman Rite hear the objection: “The new Mass is better than the old one because it allows for more active participation of the faithful,” or “The old Mass just had to be reformed eventually, because the priest was the only one doing anything, and the people were all mute spectators.” My aim in this article is to refute such claims and to demonstrate that, if anything, the opposite is true. People who take the time to sit down and study Sacrosanctum Concilium are often struck by how much of this document is unknown, ignored, or contradicted by contemporary Catholic practice. Often, there are phrases that are so rich, and yet the manner in which they have been turned into slogans has undermined their original nuance and depth. 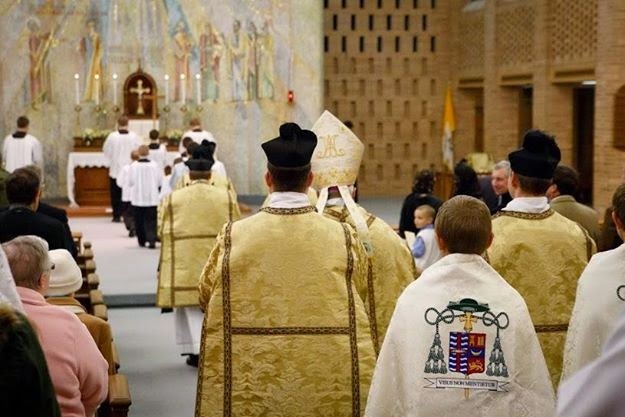 Now, even with the common misunderstanding of “actual” cleared out of the way, it is an extremely curious fact that the full expression from Sacrosanctum Concilium 14 is rarely quoted: “Mother Church earnestly desires that all the faithful should be led to that full, conscious, and active participation in liturgical celebrations which is demanded by the very nature of the liturgy” (in the original: "Valde cupit Mater Ecclesia ut fideles universi ad plenam illam, consciam atque actuosam liturgicarum celebrationum participationem ducantur, quae ab ipsius Liturgiae natura postulatur"). Whatever happened to “full” and “conscious”? Let’s probe this matter further. After several decades of attending Mass in both the OF and the EF (both celebrated “by the books”), I’ve become convinced that there is paradoxically a far greater possibility of not consciously paying attention to the Mass in the vernacular, precisely because of its familiarity: it becomes like a reflex action, the words can go in and out while the mind is far away. The vernacular is our everyday comfort zone, and so it doesn’t grab our attention. This is why when we are in a busy place where lots of people are speaking, we tend not to notice that they are even talking—whereas when we hear a foreign language, something other than our mother tongue, suddenly our attention is caught by it. First, its very foreignness demands of the worshiper some effort to enter into it; indeed, it demands of the worshiper a decision about whether he really wants to enter into it or not. It is almost pointless to sit there unless you are ready to do something to engage the Mass or at very least to begin to pray. The use of a daily missal, widespread in traditional communities, is a powerful means of assimilating the mind and heart of the Church at prayer—and for me personally, following the prayers in my missal has amounted to a decades-long formation of my own mind and heart, giving me a savor for things spiritual, exemplars of holiness, ascetical rules, aspirations and resolutions. When I attend the EF, I am always much more actively engaged in the Mass, because there is more to do (I’ll come back to this point) and it seems more natural to use a missal to help me do it. Second, the traditional Latin Mass is so obviously focused on God, directed to the adoration of Him, that one who is mentally present to what is happening is ineluctably drawn into the sacred mysteries, even if only at the simplest and most fundamental level of acknowledging the reality of God and adoring our Blessed Lord in the most Holy Sacrament. 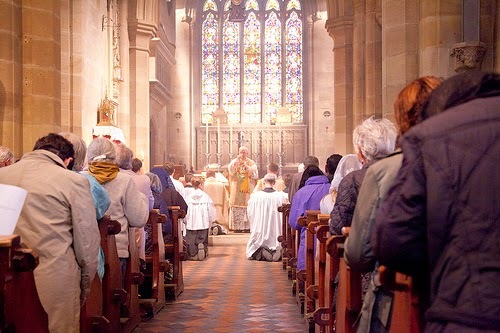 I am afraid to say that it is not clear at all that most Catholics attending most vernacular OF liturgies are ever confronted unequivocally and irresistibly with the reality of God and the demand for adoration. Or, to put it differently, the old liturgy forms these attitudes in the soul, whereas the new liturgy presupposes them. If you don’t have the right understanding and frame of mind, the Novus Ordo will do very little to give it to you, whereas the EF is either going to give it to you or drive you away. When you attend the EF, you are either subtly attracted by something in it, or you are put off by the demands it makes. Either way, lukewarmness is not an option. So much for “conscious.” What about “full” participation? Again, as surprising as it may seem in the wake of tendentious criticisms, the traditional Latin Mass allows the faithful a fuller participation in worship because there are more kinds of experience to participate in, verbal and non-verbal, spiritual and sensuous—indeed, there is far more bodily involvement, if one follows the customary practices. This last point deserves attention. To this, some add the sign of the cross at the elevation of the Host and of the Chalice. And of course, the triple sign of the cross is made twice—once at the Gospel, and once at the Last Gospel. 3x at the Salve Regina (O clemens, O dulcis, O pia). 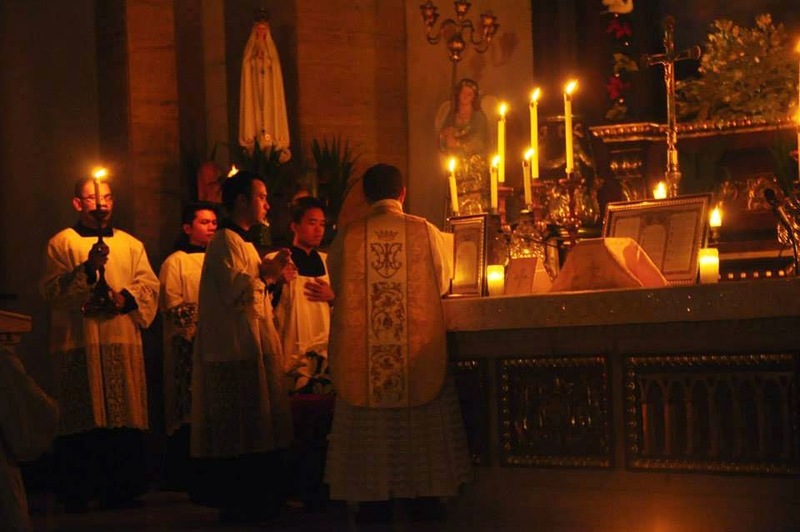 While the postures of the faithful at certain times in the Mass are not as regimented as in the Novus Ordo, a Low Mass will typically have the faithful kneeling for a long time (from the start all the way to the Gospel, and from the Sanctus all the way through the last Gospel), which is a demanding discipline and really keeps one’s mind aware that one is in a special sacred place, taking part in a sacrifice. At a Sunday High Mass, there will be quite a lot of standing, bowing, genuflecting, kneeling, and sitting, which, together with the signs of the cross, the beating of the breast, the bowing of the head, and the chanting of the responses, amounts to what educators call a TPR environment—Total Physical Response. You are thrown into the worship body and soul, and, at almost every moment, something is happening that puts your mind back on what you are doing. The OF has tended to drop a lot of these “muscular” elements in favor of merely aural comprehension and verbal response, which, by themselves, constitute a fairly impoverished form of participation, and surely not a full one. Most distinctive of all, perhaps, is the immensely peaceful reservoir of silence at the very center of the traditional Latin Mass. When the priest isn’t reading the Eucharistic Prayer “at” you, as it were, but instead is offering the Canon silently to God, always ad orientem, it becomes much easier to pray the words of the Canon oneself in union with the ministerial priest, or, if one prefers, to give oneself up a wordless union with the sacrifice. 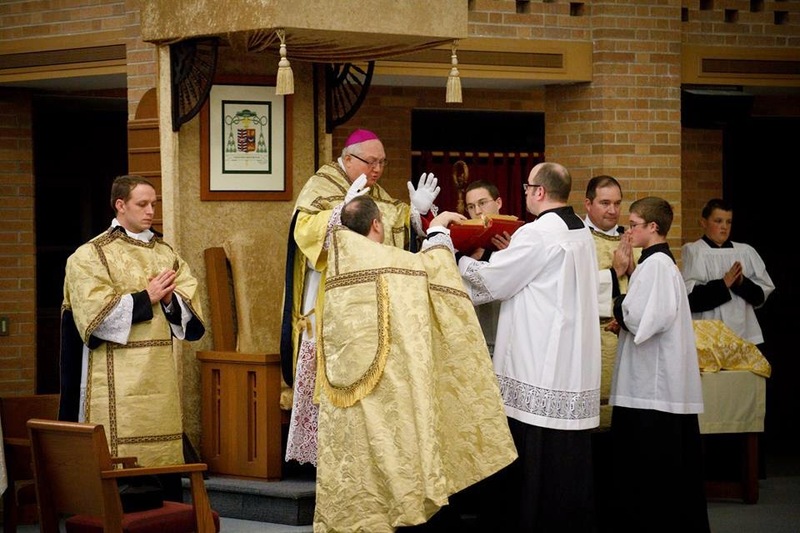 This makes the Canon of the Mass a time of more intensely full, conscious, and actual participation than is facilitated by the constant stream of aural stimulation in the Novus Ordo. One can still hold the new rite to be integrally Catholic, and yet consider that the culture of the extraordinary form, where the people are supposedly passive, tends to teach people to pray independently, while the culture of the ordinary form often tends to create a dynamic in which people just chat to each other in church unless they are being actively animated by a minister. What we have seen, therefore, is a conclusion that flies completely in the face of the conventional wisdom. 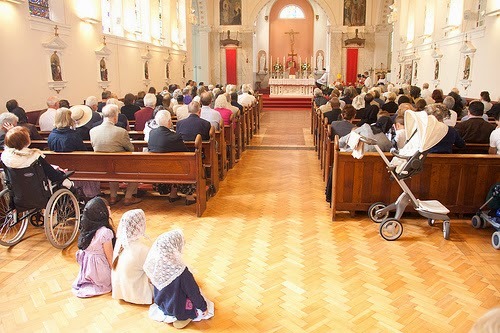 “Active participation,” in the manner in which it is usually understood and implemented in the Novus Ordo sphere, actually fosters passivity, while the Catholic who receives in a seeming passivity all that the traditional Mass has to give is actualizing his potential for worship to a greater extent. 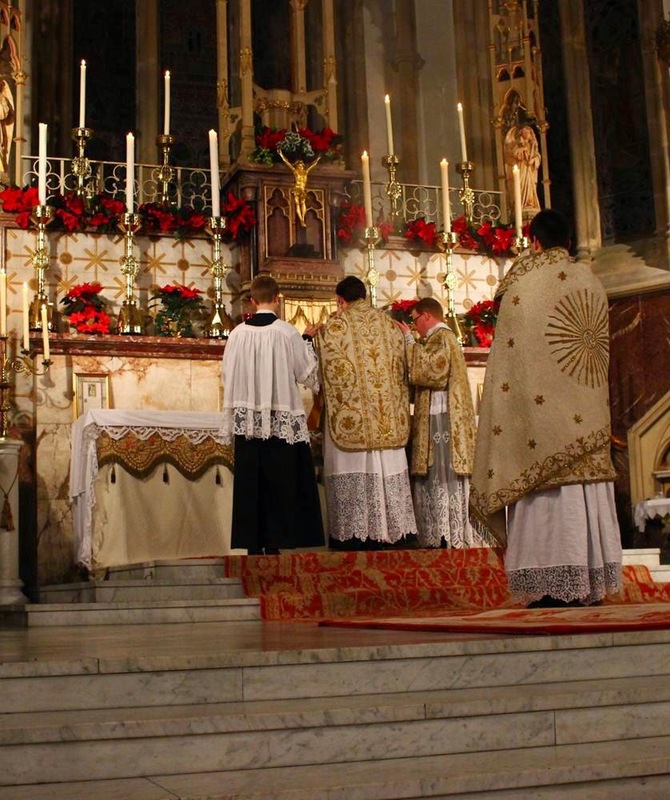 Consequently, if you are looking to fulfill the Council’s call for full, conscious, and actual participation, look no further than your local traditional Latin Mass and you will find, with due time and effort, a richness of participation more comprehensive than the reformed liturgy allows. Note 1. I have rewritten the preceding sentences in response to some excellent criticisms leveled against my treatment of the Latin word actuosus in the first version of this article. Readers who are interested in the details may find them in the comment thread below.